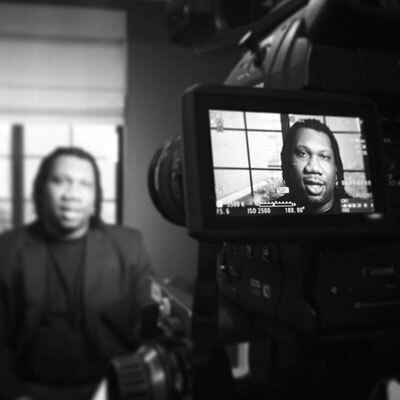 When a legend like KRS-One speaks, it's usually in your best interest to listen. The 50-year-old MC put the game on notice Sunday night with a series of tweets that at once announced a new album, Now Hear This, due out November 24, and rolled out the first single off said release, "Drugs Won." Setting the tone for the upcoming release, the sharp-tongued MC deftly criticizes America's misunderstood relationship with marijuana and drugs at large, while also underscoring the damage that the government's war has caused over the last thirty years or so. Immediately, just by reading the title, it's pretty obvious where this LP is going and KRS-One pulls few punches while analyzing America's complex and often contradictory relationship with drugs. Using his Twitter account to preview bars off the new song, the veteran artist raises the question of why the east coast continues to ban marijuana while the west coast has weed dispensaries popping up all over the place. It's a valid argument and one that makes a lot of sense coming from this particular source. Switch the philosophy think of the economy plants, herbs, and roots are nature's technology #Drugswon #nowhearthis New Album yall ready? A powerful voice, never faltering in his beliefs, KRS has always spoke his mind on the world at large and here he appears to offer up a welcome commentary on a subject that's currently hotly contested. It's also interesting as he touches on government involvement with marijuana today and mentions: "We see how the drugs run, we see where they come from, governments are selling it everyday one ton they declare war on drugs but #DrugsWon." With mandatory minimum sentencing for non-violent offenders off the books and weed becoming increasingly more prevalent in everyday life by the day (Illinois got the green light for medical marijuana yesterday), KRS seems ready to let those in power know who won the war on drugs. While KRS addresses the current greyscale of marijuana on the national conscious today, it also appears to have deeper connotations to a somewhat consistent theme in hip-hop: the Iran/Contra Scandal, which revealed that the U.S. government was involved in the covert sale of weapons, even allegedly routing cocaine from Nicaraguan rebels to the streets of Los Angeles via Freeway Ricky Ross in the 80s, kicking off the crack epidemic. Released last year, Kill The Messenger, a great film featuring Jeremy Renner, is about San Jose Mercury News reporter Gary Webb's following of the scandal. KRS has firsthand knowledge of the kind of hypocrisy and terror that America's 'War on Drugs' has had on the nation at large and the African-American community specifically and on "Drugs Won" it sounds like he's ready to let everyone else know too.